The soft-touch material of this Clima long sleeve running shirt means you can use it year-round, from keeping you comfortable on a chilly summer's morning as well as on a winter's day. 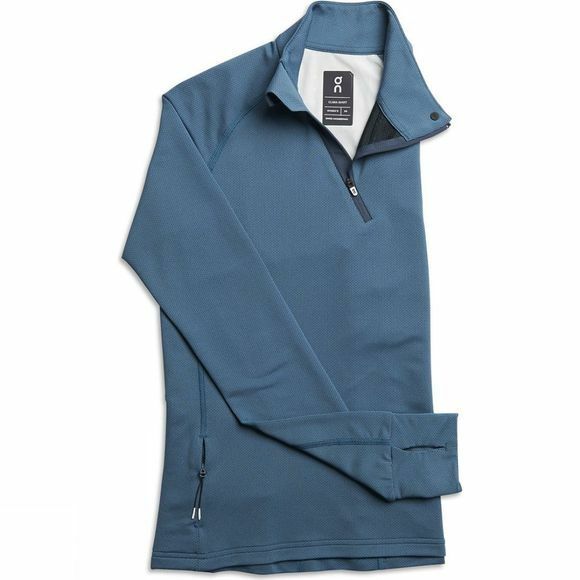 The Clima-Shirt is made with antibacterial treated fabrics. Combine this with the micro-ventilation and moisture-transport system and you have a long sleeve running shirt that is always fresh and ready when you are. Laser-cut ventilation in the back and an adjustable v-neck collar converts the Clima-Shirt into a year-round midlayer, able to change to whatever your run needs in an instant.